Wednesday, I posted about the incredible flash flood situation just north of Wichita. At the same time the flash floods were occurring near Wichita, friend Dr. Mike Khadavi took this photo from Kansas City at the same time looking west northwest. I'm posting this with his permission. The thunderstorm complex north of Wichita at the time, which was below the horizon as viewed from Kansas City, blocked the sun creating the shadow (at left). At right, the sun is unblocked creating the brilliant sunset. If you are interested in how this works technically, here's a diagram. 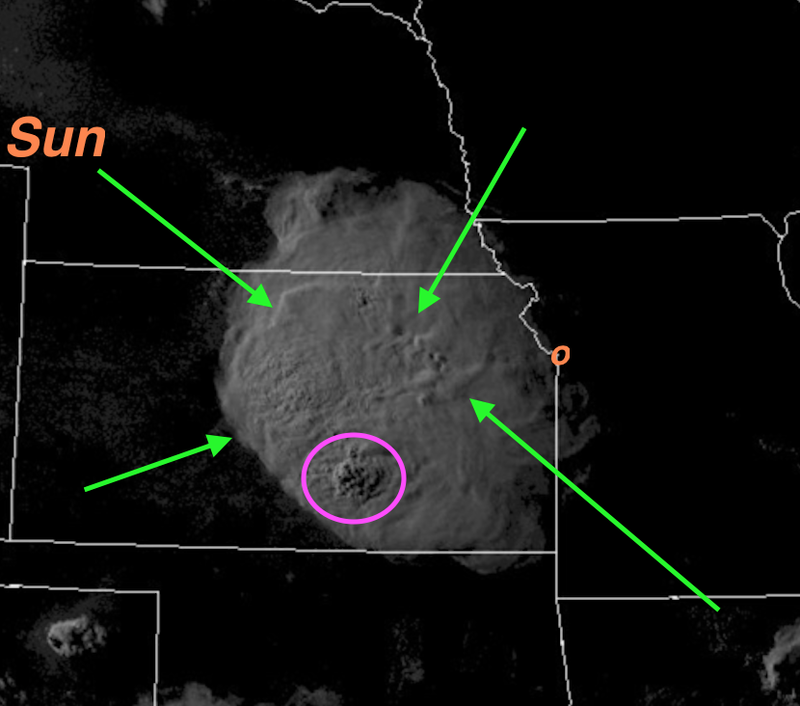 As seen from Kansas City (marked with a circle), the sun is in the WNW sky. The higher clouds are marked with the green arrows. So, as seen from Kansas City, the higher storm clouds are on the left (causing the shadow) and the high clouds creating the orange sunset are on the right. 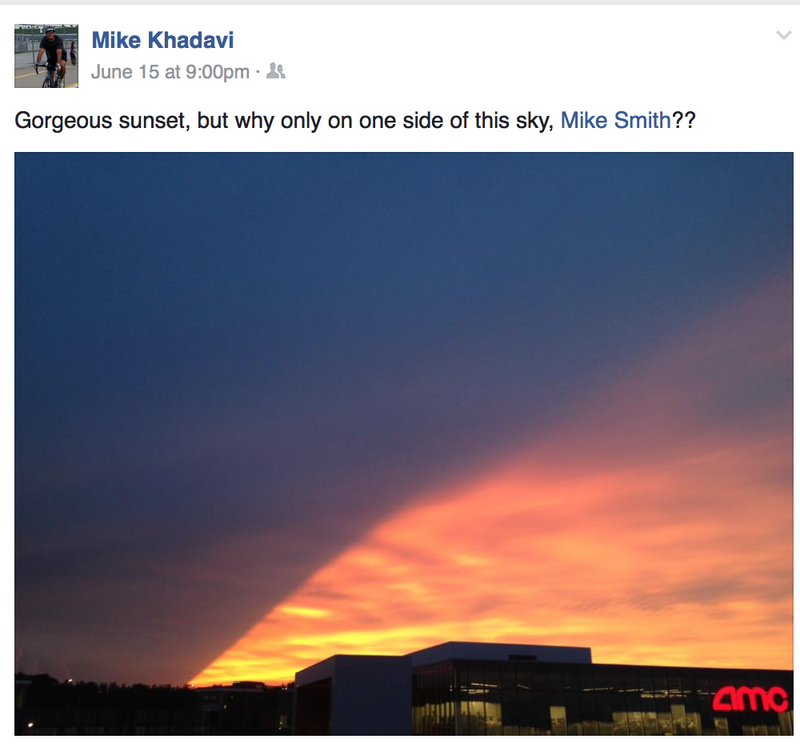 You don't see the higher clouds because they were below the horizon. 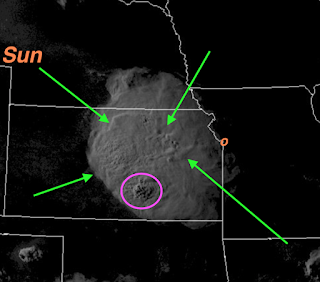 The highest clouds, circled in purple, is the complex of severe and flash flood producing thunderstorms near Wichita.